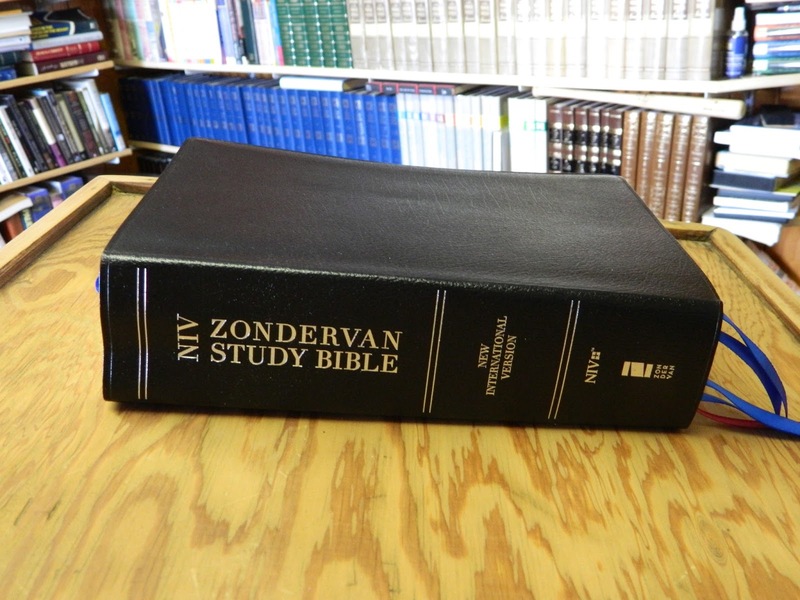 This study Bible is the sixth one that I will review. Several years ago I ran across a garage sale where due to some very unfortunate events a man had compromised his ministry and his family was selling all of his books, commentaries, and Bibles. While I did find some very useful books at dirt-cheap prices, I did not want to purchase the Bibles because there was a little something sacred about them even though this man was not of my doctrinal persuasion. 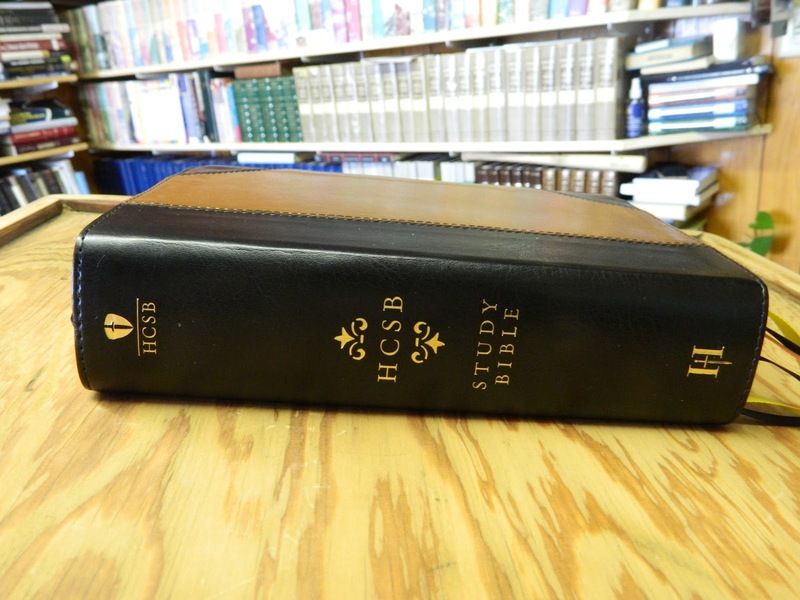 As I was about to leave, his ex-wife came over and gave me a copy of a very nice leather bound Holman Christian Standard Bible that was just plain text with a single reference column. I started to read it some weeks later and found it to be a thought-provoking translation. 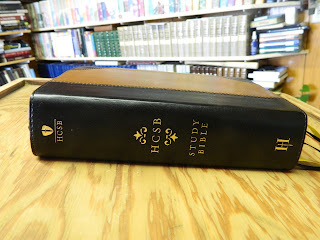 We have been reviewing several study Bibles that I thought would be helpful to those who are making a concerted effort to become effective expositors. An expositor is a preacher who has a commitment to preach through the Bible dealing with the context, the doctrinal content, and the application to a New Testament apostolic church. Expository preaching can be best summed up in this threefold manner: Read the text, explain the text, and apply the text. On the other hand don’t let that greatly simplified form lead you to think that this makes for simple preaching for it does not. 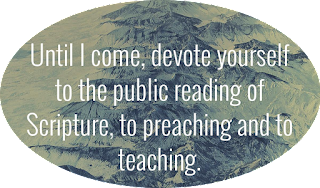 I have been working at this angle of preaching for a little over ten years now and it is the most demanding sort of preaching that a minister can give himself to. It requires great discipline and you have to get control of your personal schedule so that you can effectively work somewhere that is free from interruptions. However, the soul building that takes place in the preacher and in the life of the church will be astounding! 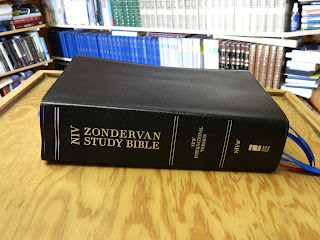 So all of these study Bibles that I have been reviewing for the last four posts is nothing more than an effort to encourage men to be students of Scripture.